On Fridays, from 2:00 p.m. to 3:00 p.m., the Northwoods Ukers will meet in the Eagle Room of the library to practice and jam. 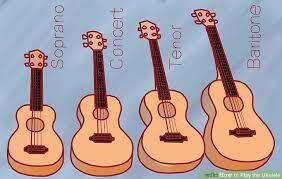 Please bring your own ukulele and join in the fun. The meetings will continue to meet all winter. No lessons, but the Smiths will return next summer to offer lessons.